Hello dear visitors. This is the second post in our new weekly “City Break Week Guide” column. Our goal is to make a short preview of the latest events in the city of Belgrade. So, let’s see what’s going on during this week and next weeks. Gallery of Petar Dobrović, 36/IV Kralja Petra St. This thematic exhibition aims to present the deep and complex connection of the personal and professional that is brought to light in the relationship between Petar Dobrović and his young wife Olga. This relationship developed into a sophisticated collaboration on the level of creativity and on the level of an almost obsessive devotion towards the artist/husband, which remained right through the decades following the artist’s death. This relationship produced extensive documentation materials, including a fact-sheet register and photo documentation devoted to a single artist, the painter Petar Dobrović. On the other hand, drawing from his long-standing inspiration, Petar Dobrović painted anthological, analytical, psychological portraits of his wife Olga, reflecting her moods and circumstances in the private and public sphere. Among the thirty paintings on this exhibition, in total, on this occasion, certain works of art will be presented to the public for the first time. 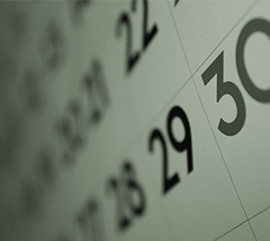 Working hours of the gallery: Fridays, Saturdays, Sundays, from 10:00 to 17:00. Admission is free of charge. One of the biggest techno DJ stars of today, an Irish DJ and producer Matador, arrives in Belgrade on Friday 26 February, when he will play in the Hangar at the Port of Belgrade! Following local DJs Lea Dobricic, Marko Milosavljevic and DBDZ team will be playing together with Matador. This will be the first time Matador has played his music in Belgrade, and the second time in Serbia after the performance at the EXIT festival in 2013. Tickets can be purchased at all Eventim and Gigstix, as well as online atwww.eventim.rs and www.gigstix.com for the price starting from 800 RSD and 1500 for VIP tickets. Belgrade Dance Festival will present its thirteenth edition from March 19 to April 10, featuring an attractive selection of titles from the world scene. A total of 15 companies from 13 countries and 30 choreographic works will be performed in Belgrade, Novi Sad and Pančevo. Thanks to this festival, Belgrade has become an important location in the biography of artists participating in the creation of the dance of this day and age, where every spring dance professionals reveal new choreographic manuscripts and which famous and young authors frequent with utmost pleasure. Actuality of programs i.e. exclusive events and premiere character within the wider region and Europe, ensures the Festival is well positioned in the international map. High standards of quality and a courageous introduction of new dance and theatre aesthetics, both enhance expectations of the audience and set the new challenges in contents creation. Uncovering the potential of contemporary dance through its highest level, the festival seems to have gained a large following. Since its inception, the festival has presented close to 250 choreographies of famous and popular choreographers of our time, and in recent years, each edition recorded over 20,000 spectators and more than 120 accredited journalists from the country and abroad. The rich festival program starts traditionally at Sava Center where on March 19 audience is bound to enjoy the 5th appearance of a cult Nederlands DansTheater (NDT1). Dance company brings two plays by choreographers Paul Lightfoot and Sol León, as well as the work by Gabriela Carrizo, an artist who is in charge of Belgium troupe Peeping Tom, also known to the Belgrade audience. The play “East Shadow” by famous choreographer Jiri Kylian is an intense piece which drives – dance, music, decor everything seems to be making an unforgettable theatre experience. The play will be performed twice, on March 23 and 24. On March 30, at the great stage of Sava Center comes Dimitris Papaioannou, one of the most appreciated contemporary artists, known worldwide after choreographies which were performed at the opening of the Olympic Games in Athens, London and Baku. His play “Still Life” brings forth desolate scene under a great canopy of clouds that create a feeling of the cosmos on the stage, struggling with a stone block cracking and falling to pieces, the dancers hold on to the void while creating images where one can find the simplicity of human labour. Long awaited The Forsythe Company from Frankfurt will present its new play “The Primate Trilogy” by Jacopo Godani at Belgrade Dance Festival. This is a piece that heralds a new era of the famous theatre companies. Tickets for the 13th Belgrade Dance Festival cost from 500 to 2500 dinars and can be purchased at the box office of theaters and the venues themselves, as well as at Eventim ticket outlets. 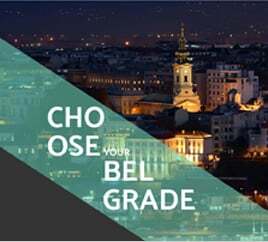 For more information about 13th Belgrade Dance Festival, visit www.belgradedancefestival.com.